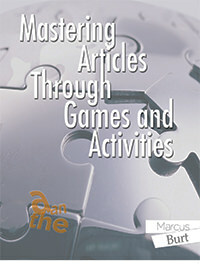 Like many other Web sites, www.www.masteringarticles.dev makes use of log files. The information inside the log files includes internet protocol (IP) addresses, type of browser, Internet Service Provider (ISP), date/time stamp, referring/exit pages, and number of clicks to analyze trends, administer the site, track users’ movement around the site, and gather demographic information. IP addresses, and other such information are not linked to any information that is personally identifiable. We also use third party advertisements. Some of these advertisers may use technology such as cookies and web beacons when they advertise on our site, which will also send these advertisers information including your IP address, your ISP, the browser you used to visit our site, and whether you have Flash installed. This information is generally used for geotargeting purposes (showing New York ESL school ads to someone in New York, for example) or showing certain ads based on specific sites visited (such as showing teaching ads to someone who frequents teaching sites).